Burj Khalifa is the world’s tallest building and the views from the 148th Floor ‘Touch The Sky’ observation deck are unbeatable. 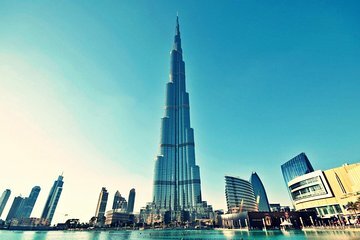 On this tour, combine Burj Khalifa tickets with a private Dubai city tour and benefit from the undivided attention of your guide. Walk around the Gold and Spice souks, ride a traditional abra across Dubai Creek, visit the island of Palm Jumeirah, and admire views along Dubai Marina. Your tour ends at Burj Khalifa, so you can spend as long as you like exploring the neighboring Dubai Mall. Everything was fabulous.So glad we took a private tour with Viator from the cruise terminal.The Burj Kaliyah to the Top was amazing.saw so many things that we would have missed on our own.Thank you Viator!